Veteran of Tulu dramas, Devdas Kapikad is set to make his celluloid debut in Kannada. In Kannada movie 'Venkata in Sankata', directed by ace Kannada actor, Ramesh Aravind, he plays his part. 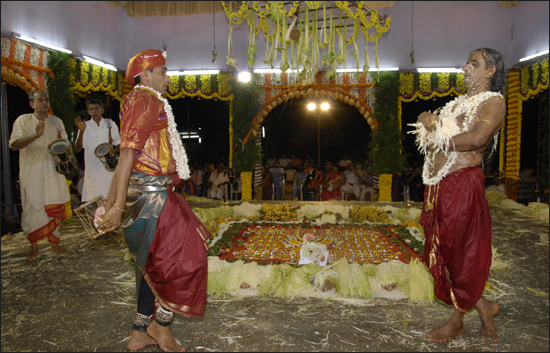 Devdas Kapikad is a popular name in coastal Karnataka associated with Tulu dramas. He has his own theatre group, 'Cha Parka', which performes plays in Mumbai and Gulf countries. All the best to Devdas Kapikad for his new venture. Ramesh is back with a comedy flick here, after 'Rama Bhama Shama' and 'Sathyavan Savithri'. 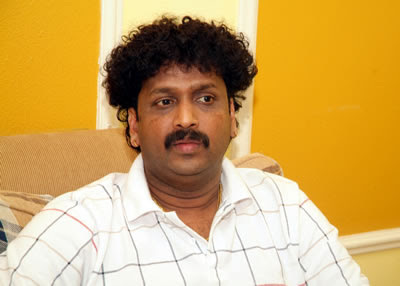 In this film, Ramesh plays the role of a traffic police man. Film is about his struggle to get a promotion in the department. Music of the film is composed by Ricky Kej who earlier had composed some nice tunes for another Ramesh starrer, 'Accident' - 'Baa Maleye Baa' and 'Ellinda Banthu Ee Thangali'. Hope to see some laught riot in Kannada silver screen soon!